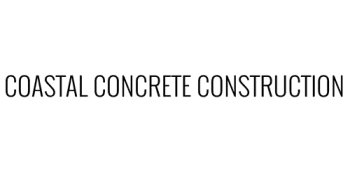 Welcome to the Coastal Concrete Cutting llc information page. We are the premier provider of Concrete Cutting, Core Drilling, Repair & Restoration. Our goal is to provide the very best in the industry. Because our quality control standards are high, our certified operators are among the best in the business. Our goal is to always deliver Fast Courteous Quality SERVICE. We want you, our valued customer, to be happy. Here is a COMPLETE list of our services. Concrete Saw Cutting: Concrete Floors, Concrete Walls, Concrete or Asphalt Roads ext. Core Drilling: Concrete Floors, Walls, & Asphalt. Floor Chalk & Cure & Ceiling: *Concrete Floors. Repair & Restoration: *All Concrete Surfaces. Resurfacing: *Concrete Floors & Walls. Demolition & Removal: Concrete & Asphalt. Wall Rubbing & Coatings: *Concrete. Quickie Sawing: Concrete & Asphalt. Ring & Chain Sawing: Concrete. "Call Us Today For A Free Estimate." Rates: "This is just a baseline all jobs are unique and deserve independent attention"